Torrey House Press, 9781937226695, 200pp. "If you ever wondered what life is like for the down and out, the remarkable Sojourner lays it out in precise and unsparing prose in her latest collection of short stories. Throughout, Sojourner's ability to bring extraordinary characters to life and bring depth and heart to ordinary circumstances makes this collection memorable." "In these] stories set in the southwest, the mostly working-class characters struggle to rise beyond their pasts and their own worst tendencies...Sojourner uses passion, high-energy storytelling, and unflinching empathy to break the reader's heart." "The heart in these stories beats out of its chest. Sojourner is the voice of the luckless, the rejected, and the defiantly free. Reading this collection will give you blisters in tender places, and you'll be proud of them." "Long ago, farming families would leave a candle in a window at night so that a wayward soul wandering in the dark could find a way to comfort. This best describes Mary Sojourners' tales of small lives struggling for connection. Some construct fences around themselves and blame the fence, others find comfort in acceptance. They are, like their creator, sojourners. In every case, Mary Sojourner brings candlelight to their struggles." From security guards and jack rabbits to bartenders and blue herons, the desert-dwellers in The Talker surface with grit and grace from dust-blown trailers, ancient Joshua trees, and artificial lakes. With her signature down-to-earth storytelling style, Mary Sojourner explores the lives of working class people, threats to Western landscapes, and the complexities of love. 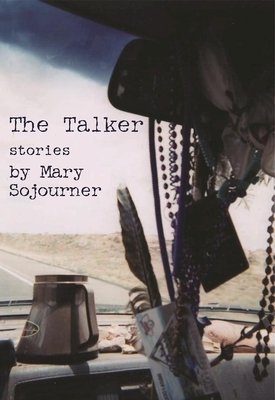 The Talker depicts a community weathering the desert glare of the Mojave, seeking refuge, truth, and escape. Mary Sojourner is the author of 29: a Novel; the short story collection Delicate; an essay collection, Bonelight: Ruin and Grace in the New Southwest; and memoirs, Solace: Rituals of Loss and Desire and She Bets Her Life. She is an occasional commentator at her local NPR station and the author of many essays, columns, and op-eds for High Country News, Writers on the Range, and other publications. A graduate of the University of Rochester, Sojourner teaches writing in private circles, one-on-one, at colleges and universities, writing conferences, and book festivals. She believes in both the limitations and possibilities of healing through writing--the most powerful tool she has found for doing what is necessary to mend. She lives in Flagstaff, Arizona. MARY SOJOURNER is the author of 29: a Novel; the short story collection Delicate; an essay collection, Bonelight: Ruin and Grace in the New Southwest; and memoirs, Solace: Rituals of Loss and Desire and She Bets Her Life. She is an occasional commentator at her local NPR station and the author of many essays, columns, and op-eds for High Country News, Writers on the Range and other publications. A graduate of the University of Rochester, Sojourner teaches writing in private circles, one-on-one, at colleges and universities, writing conferences, and book festivals. She believes in both the limitations and possibilities of healing through writing--the most powerful tool she has found for doing what is necessary to mend. She lives in Flagstaff, Arizona.